I want to begin by saying, please forgive the pictures. It was the first time I’ve ever shot at night and it was raining. 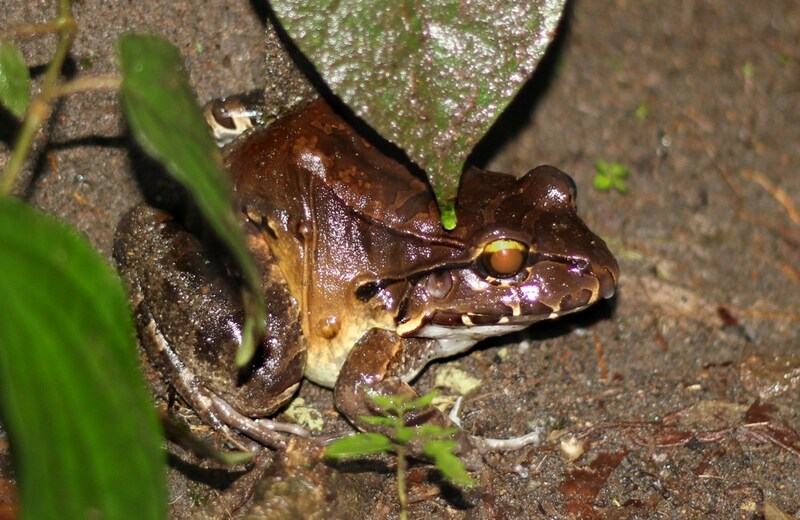 Bull Frog: These monsters eat other frogs. Jeremy and I aren’t usually into taking tours, but we couldn’t resist the idea of walking through the rainforest at night. It’s something that we knew would not be smart to do by ourselves so we decided to take a guided tour. 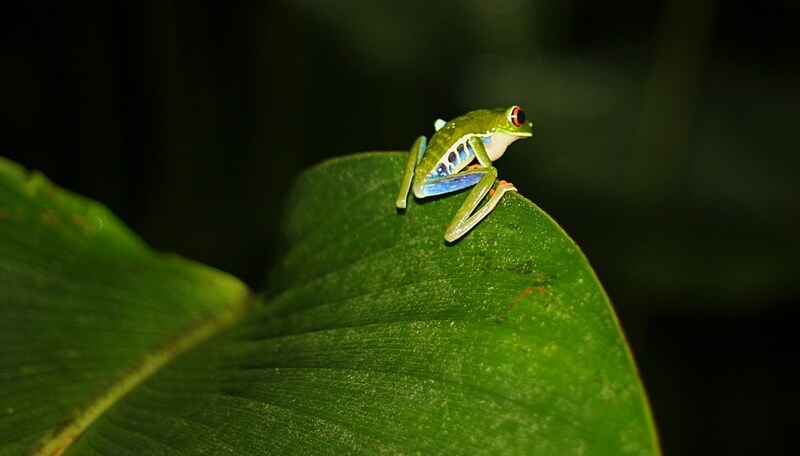 We took the tour through Arenal Oasis Wildlife Refuge. 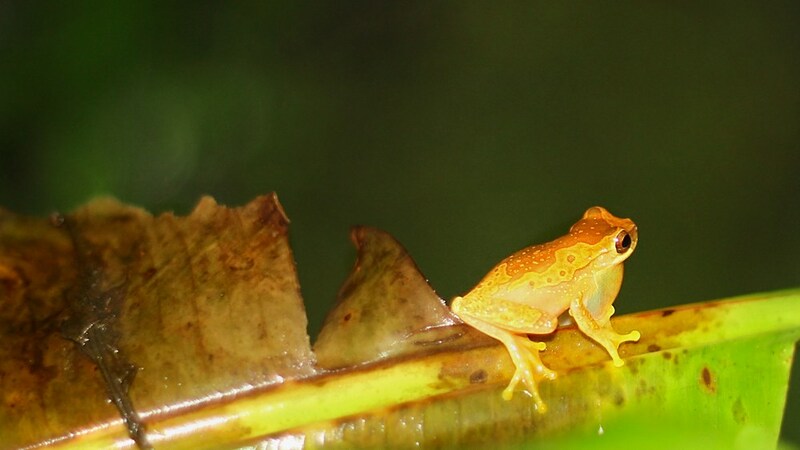 The main purpose of the tour is to look for frogs. When we arrived it was POURING rain. There were six people in our group and we were all given flashlights. The guide told us to hold the flashlight at eye level and to look for small lights that might shine back at us. Those would be the frogs’ eyes. 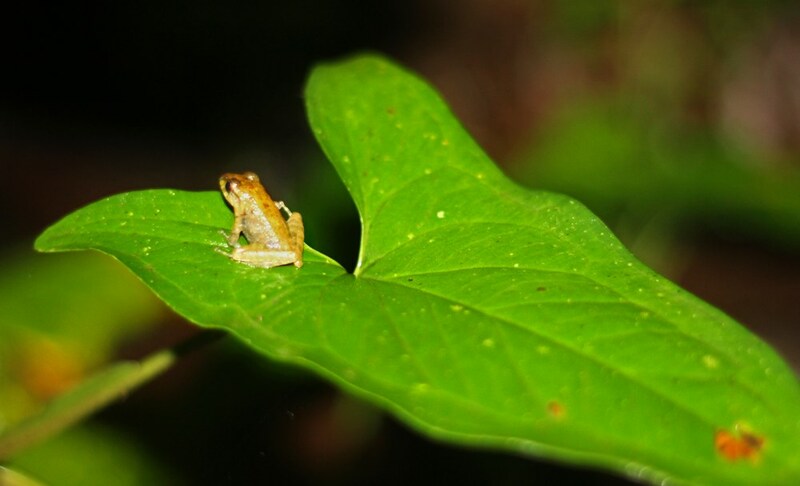 While we saw many frogs, I didn’t spot a single one. 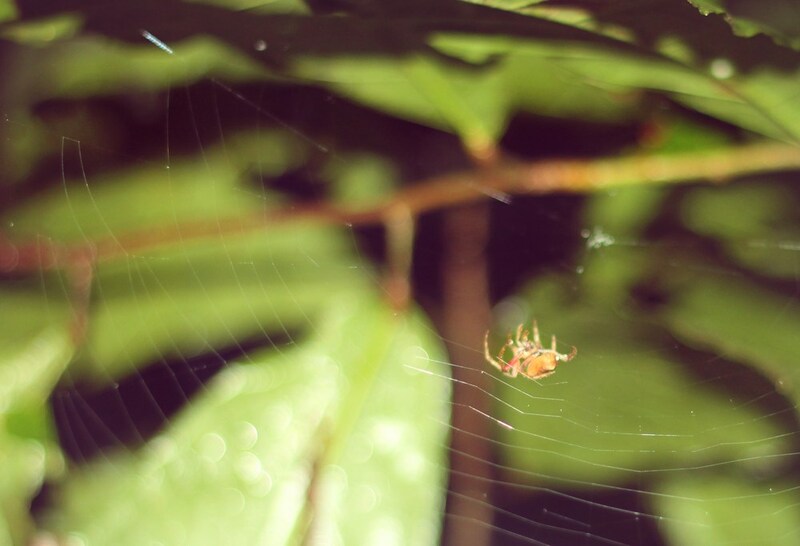 However, I think I found every single creepy crawly that there was. As we walked through the rainforest, I thought, this isnt so bad, I could totally do this by myself. But then, at one point I got separated from the group. Just for a second. I got distracted looking into the woods because I heard a noise and the group just kept walking along. 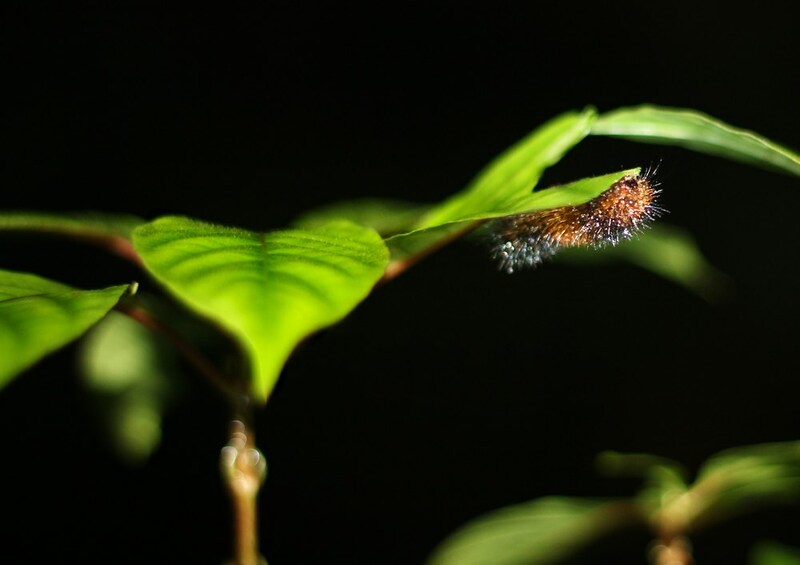 When you are in the rainforest with your one little flashlight, it’s a whole different story. It is scary and the darkness is consuming. Not to mention all of the noises that you hear and can’t see where they are coming from. Spooky. I made sure not to get separated again. We also saw a snake. When the guide spotted it he just reached up into the tree and grabbed it. He called it a snail eater. He let me hold it and then it peed on him when he was putting it back in the tree. Heh Heh. He also showed us some really cool frog eggs (I’m a nerd, I know). 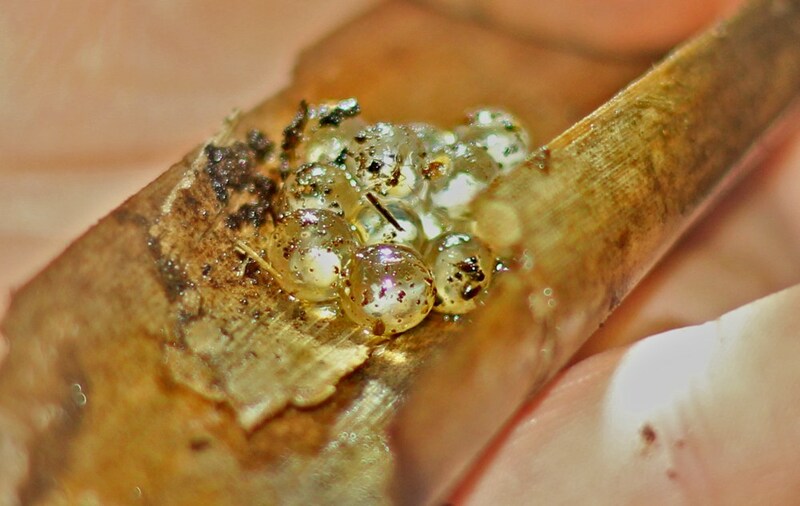 But these eggs are special because this particular species of frog goes through metamorphosis while in the egg. The eggs hatch and they are frogs. As he held the flashlight on them we could see the tiny frogs moving around inside the eggs. It was really cool. 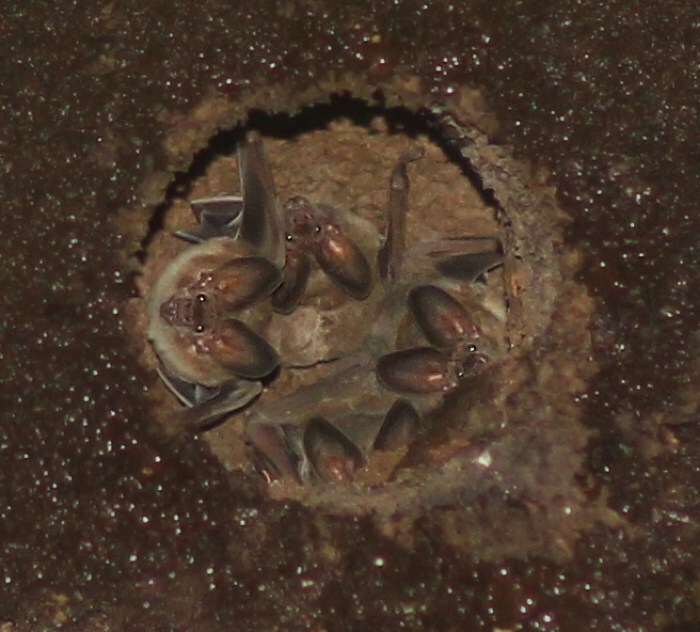 We also got to see a family of bats that had made their home inside of a termite nest. I would definitely recommend this tour. 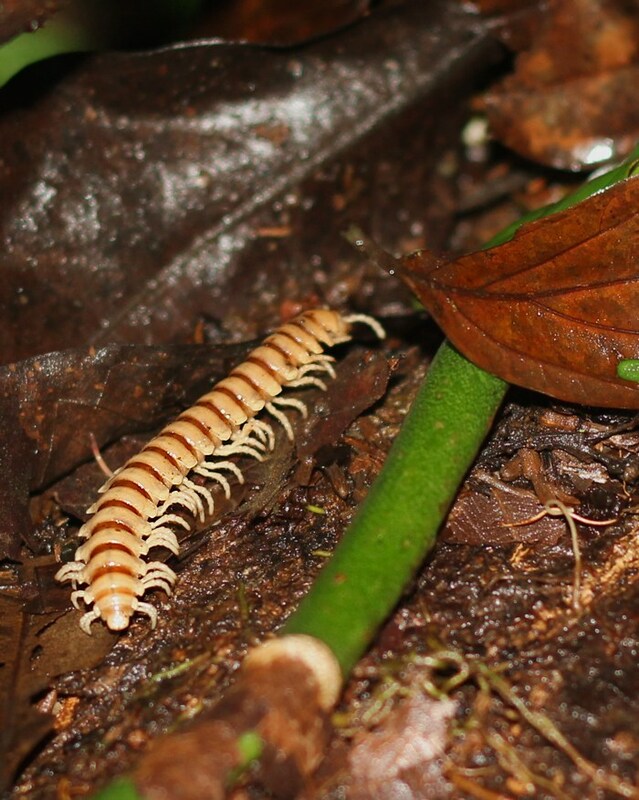 It was really fun to walk around the rainforest at night; and interesting to see the nocturnal animals. If you ever have the opportunity to take this tour wear bug spray, take a rain jacket, and be sure to have an umbrella if you want to take pictures.